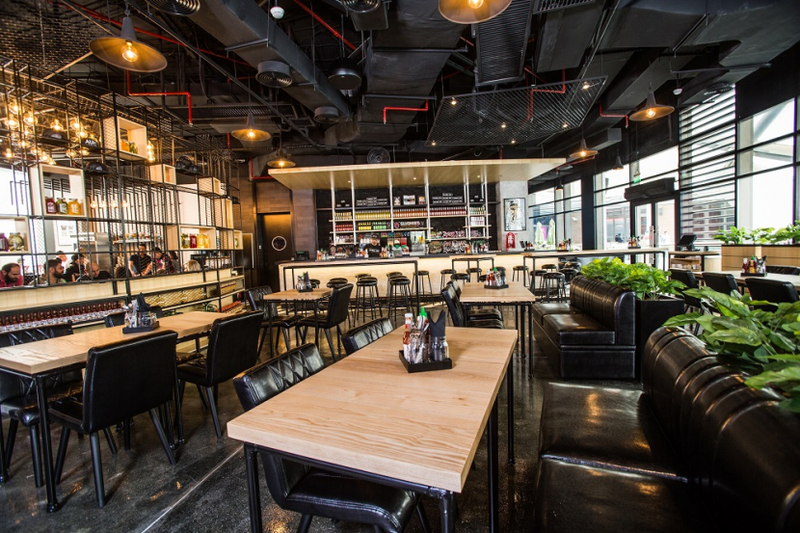 Black Tap - the cult New York burger joint known for its delicious food - is now open at the Cascade Dining area of Abu Dhabi’s Yas Mall. The management of Black Tap approached our sales team requiring a sound system that is both discreet and elegant matching the design of the venue. They needed a versatile solution to work on the hype of the place whereas sometimes only nice background music will be played, other times will reach higher levels when a DJ is playing. The layout of the venue required a number of zones to be controlled independently in terms of volume. Our team proposed the OVI 12 from the Spanish brand D.A.S audio. The Ovi 12, can be mounted on walls, placed in ceiling structures, or suspended as a pendant speaker. All with the clarity and power of a true two-way loudspeaker system, which was the perfect solution to provide even coverage across the entire dining area. Installation was done in pairs of 2 with the distribution of 12 x OVI 12; 2 x PA-1500 amplifiers run the system with 4 independent volume controlled zones. The excellent low-frequency response of the system meant that no additional subs were required and the setup is both minimal and effective.